This year we are taking part in the #NoWrongPath initiative to let the young people of Scotland know that as important as exam results are, if you didn’t get the grades that you were expecting at school, it is not the end of the world! At Stirling Community Enterprise we respect that no one’s journey to work is the same and that the time required to successfully can vary dramatically based on the barriers or circumstances that each individual may face. Our staff have taken time out of their busy days to share their own journey’s into their current job. Read about Emma and Stewart’s experiences below! I left school when I had just started 6th year at Dunblane High School. I was 17 years old and got a job photocopying at Prudential to save for Uni life as I had secured an unconditional offer. I then went on to Heriot Watt Uni to study Chemistry with Pharmaceutical Chemistry. I left after 3 years because by then I knew that I didn’t want a career in science anymore…noone seemed to speak and I found it hard to gel with people in my class. If you know me you’ll know that wouldn’t really work for me! During Uni I worked at Next in the menswear department and in the stock room which I loved because it developed my ability to be confident dealing with the unpredictability of the public but also challenged me to carry out quite repetitive and at times mundane but important tasks behind the scenes. My passion however was helping young people engage in sport so I attended training and volunteered coaching sports to children with Local Councils and hockey teams and through that I got a zero hours job coaching sport and running sports events. At this time I was earning very little and so I topped up my money working as a waitress in a busy local restaurant as well as a temporary administation job with Royal Bank of Scotland. My wages only really covered the cost of my less than reliable car which enabled me to develop my skills in sport and leisure. I made amazing friends along the way and each job really did develop me in some way and taught me that I had skills that could transfer into a variety of settings. I then did really bitty work including working part time for the Scottish Hockey Union and 3 local Councils and eventually I secured a part time temporary job in Dunbar as an Active Schools Coordinator, I remember the feeling being told I got the job…it was unbelievable. I had worked so hard, scraped many plates and sorted many a coat hanger but I did it! I worked in community leisure for over 5 years coordinating and ultimately managing physical activity and events in schools and local communities. 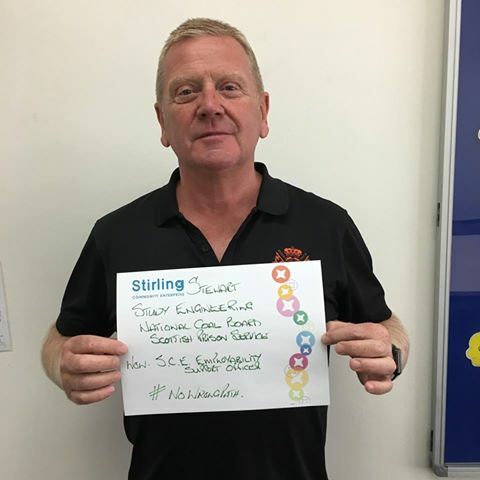 I then moved to Stirling Community Enterprise on a 1 year contract where I was managing employability services in the local Stirling community area. Five years and a couple of internal job changes later… I’m still here! 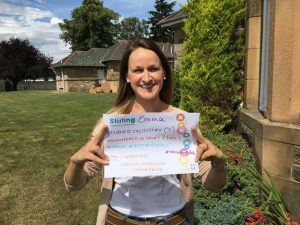 Emma’s #NoWrongPath story shows us sometimes we are able to gain lots of valuable skills and experience through volunteering and that by identifying your transferable skills you can work in a variety of industries. At school I was probably an average achiever and did not really appreciate the importance of Education. I had no worries about jobs as at that time in the 70’s jobs were a plenty. I knew that I didn’t see my future in an office so knew it would be somewhere in the open air… I had two interviews and was offered both jobs. One was for an Engineer in a local Company and the other was with the National Coal Board – the school attempted to ensure that I went for the local Company but I was swayed with the wage difference and took the apprenticeship with the Coal Board – so much for my job in the open air!! Little did I know that as part of my apprenticeship I had to attend College one day per week- I felt like I was going back to school! It couldn’t have been further from the truth. I loved the learning as it was related to my work and I could actually make sense of the calculations and theory. So much so that I carried on after I qualified for a further 5 years. A career path change was inevitable as I was on strike for 13 months. During this time, I applied for the Scottish Prison Service so after 10 years with the Coal Board I moved into the Scottish Prison System – again so much for my job in the open air. The change was daunting and very scary but after 27 years it proved to be the right choice as the Coal Board very quickly diminished in size and lots of job losses materialised. I retired in 2010 after working in 11 different establishments within Scotland and used my transferable skills to work in many different areas during my retirement. I now work with Stirling Community Enterprise, supporting those who may need help securing employment due to their own personal barriers. Stewart’s #NoWrongPath story shows us that no career path is fixed. It is never too late to change which direction you want to follow.